Phenolic tubing is a resin impregnated, spiral wrapped, and heat cured tube. 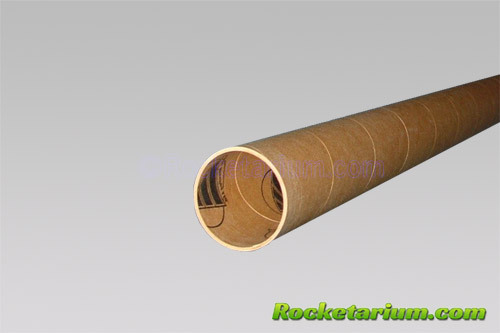 It is much stronger than cardboard tubing, with almost 5x the compression strength. Phenolic tubing is very heat resistant and is highly recommended for motor mount tubes and minimum diameter applications. Aeropack 29(P) retainer fits this tube. Simply enter your details below and we will send you an e-mail when “1.1" (29) Phenolic Motor Tube (P)” is back in stock!